Newmarket Cottage Trench Plan 2; January 2013. Base plan from East Sussex Record Office. If I start at the beginning of March, and manage two trenches per month, then I would have finished an investigation of the internal features of the house by the end of October. The location of the outside toilet has been disputed, between Lucy and Bob Phipps who lived there as children from 1934–1938. One recalled it as being next to the garden gate, the other as being next to the front door. Old Ordnance Survey maps and Mr Selbach’s plan show a suitable structure next to the front garden gate. 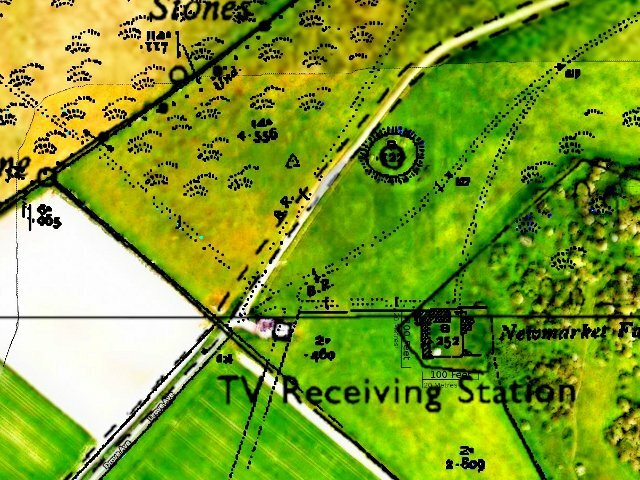 Trenches 3, 7 and 11 may be able to confirm its location. The other big target(s) is the “well(s? )” where both the Lathams’, and the Phipps’ got their water. However, this is shrouded in mystery! Neither family has been able to recall anything about a water-tank. Yet this is clearly marked on the plan found with Mr Selbach’s papers dating 1921. There is a patch of water-loving spearmint growing in a rubble filled depression in the vicinity of this tank. Trenches 4 and 5 are to attempt to determine the nature of this feature. It is always possible that Mr Selbach’s plan was for a proposed water tank that was never actually built, and the spearmint is growing on the site of a well. Bob Phipps recalled a shallow well, outside a window, to the south of the house. However, Anne Latham (who lived there from 1938-1942) recalled the well being outside the kitchen window to the north of the house. It may be that a geophysics survey, or even a dowser, may able to help with the location of an extra 1x1m trench or so. Personally I am especially interested in locating the fireplace(s). There were two rooms downstairs described in 1868 as a kitchen and a wash-house. The wash-house would probably have been on the north side of the house, and the kitchen to the south, with a single dividing wall between the two. The nineteenth century cooking would have been on an open fire, and the wash-house would almost certainly have had a copper for heating water. 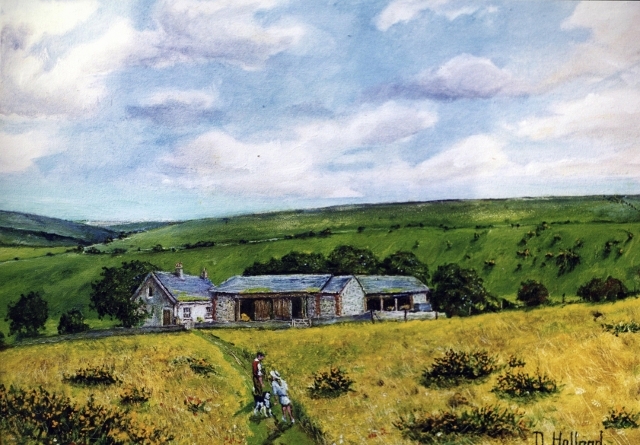 This was common in agricultural cottages, especially in one so remote – there would be no neighbours to share laundry facilities with. I have not been able find anyone who clearly remembers the location of the fireplace(s). There were certainly none upstairs in the three bedrooms. Therefore a single central chimney would have been ideal; all three bedrooms would have benefited from any radiant heat; and the flue for the copper could have been on the opposite side of the kitchen/washroom wall from the kitchen fireplace and thus may have shared the same chimney. This is speculation though. Even if someone does have a memory of its location, we know from the outside toilet and the well/water-tank, that this information may not be reliable. Trench 16 has been planned to find its most probable location. However, if the bulldozer driver was a little too active in this part of the house, there may be no evidence left of the fireplace. ‘Trench‘ 17 has therefore been planned for a systematic exploration (a partial excavation) of the large mound of demolition rubble to look for any chimney pots. This would be a very large target – about 28 metres long, several metres wide and a metre or two deep. It contains some very large pieces of masonry. The strategy would be to clear the demolition mound of its vegetation, and to strip it of some of the smaller debris, to search for identifiable chimney fragments. This could be a winter project. 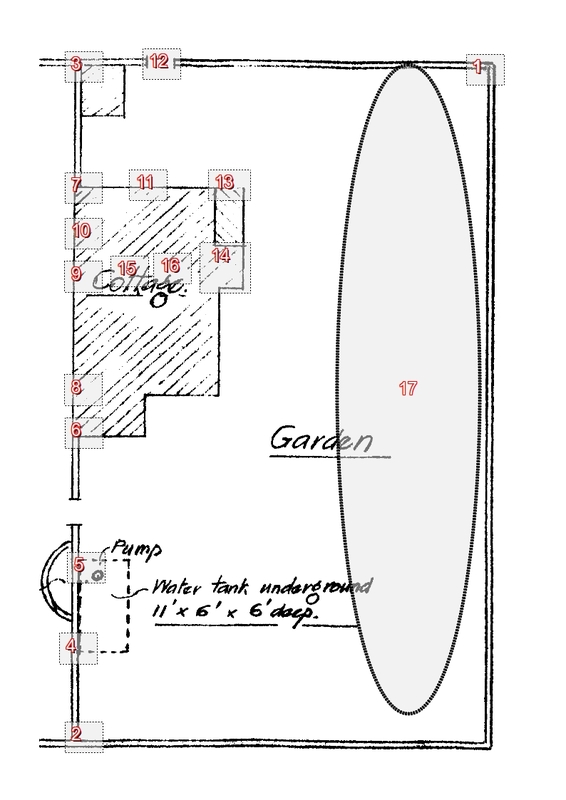 Possibility of a pipe to fill the water-tank with rainwater from the Newmarket Cottage roof, both before and/or after the Newmarket Bottom well pump which may have been in operation from just 1921-1925. The last two excavation targets may possibly be revealed during this year’s programme of work to the south of the house. If something is found, it would be recorded, but it would not be followed down into undisturbed archaeology – at least not until a formal project plan review point was reached. Rainwater guttering should certainly be looked for in the bulldozed mound of rubble. My finds policy has yet to be planned – this will have to wait for another post – I need to get some expert advice on this.